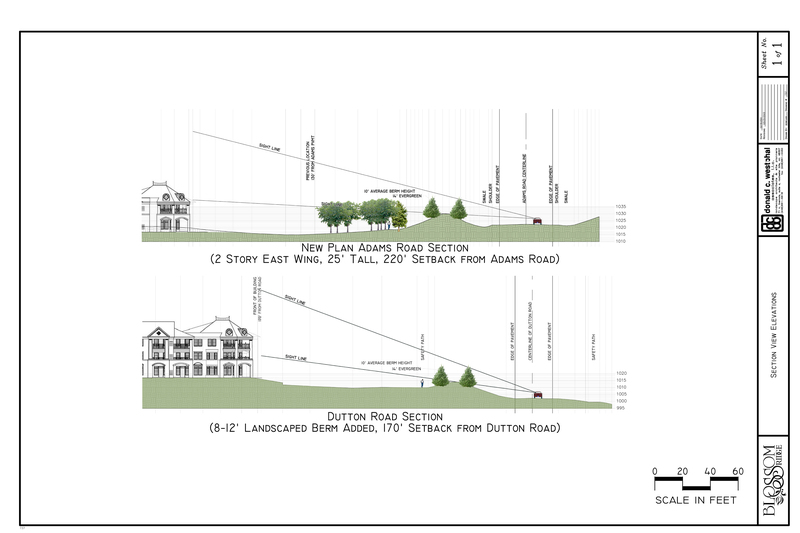 Some residents expressed concern over the view of the building from both Adams Road looking west, and from Dutton Road looking north. The following line of sight shows the visual barrier that both the berms and the trees will provide from the road. The visual barriers that are part of the plan will provide adequate visual shielding from the roadway.